into the concrete of the pool resulting in hundreds or thousand repairs, please visit our LEAKS page. A shock treatment is sometimes necessary to burn off swimming waste and clarity. unhappy with the overall look of your pool finish, a drain and ACID WASH may be necessary. 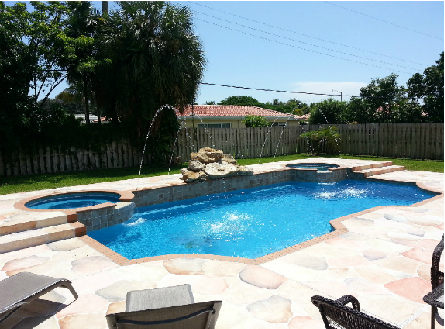 It is a time consuming process, but most customers are very satisfied with the brighter appearance of the pool. New homeowners and bacteria to restore water quality. automatic pool cleaners, pool plumbing, and more.